This is a brief trip report on our participation in the Nereid's Rally, which runs from Trinidad or Tabago down to Guyana and on to French Guiana. For various reasons, we've wanted to visit Guyana so the rally was a perfect way to do that and at €300 was very cheap compared to many rallies. 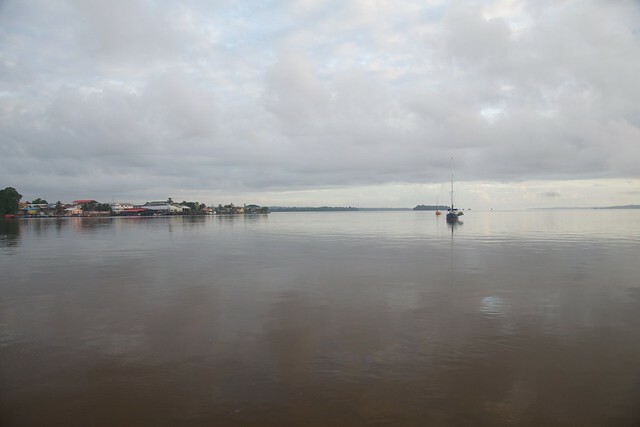 We'd been told by many people that it was hard to get down to Guyana - against the current and the wind, so it would be a hard beat - but the rally organiser does it in his 23ft gaff rigged boat, so it must be possible. There were 10 boats on the rally. There were two catamarans going - us and Ballerina Girl (built by Don Stollmeyer, part owner of the Powerboats yard - a very fast cat, but leaving much later than us), and monohulls from 45 feet down to 23feet. 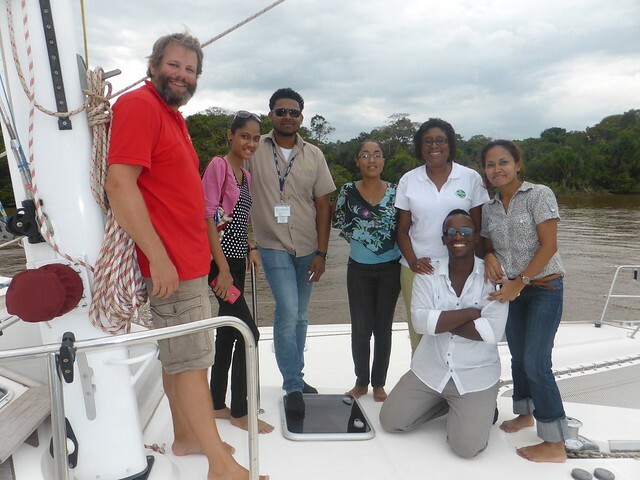 One boat, Gaia, was sailing from Tobago and started 1.5days ahead of the rest of the fleet. The rest of us were starting from Trinidad on September 3rd, 4pm. The night before, we had a group meal organised by the rally and a good time was had by all. On Thursday we had a big send off, and we all headed around to the Boca de Monos. Most boats opted to stop in Scotland Bay for a while, but we pressed on. We motored up the north coast of Trinidad, ducking into all the bays to get as much favourable current as possible. 9 hours later, we were rounding Galera Point and sailing. 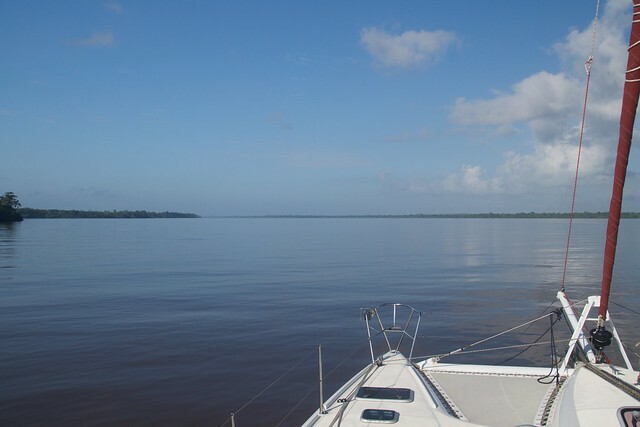 The hard part was supposed to come, but we had a nice NE so we made very good progress and only had to tack 4 times to make the western entrance of the Essequibo River just 65hours after leaving Chaguaramas. 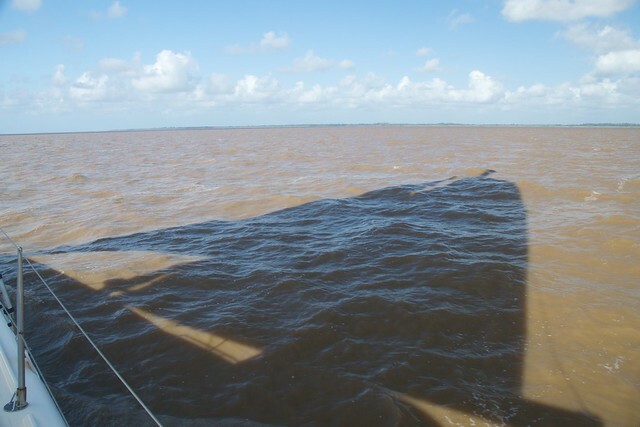 As we approached the river we overtook Gaia - so took line honours We had sailed into a sea of mud! 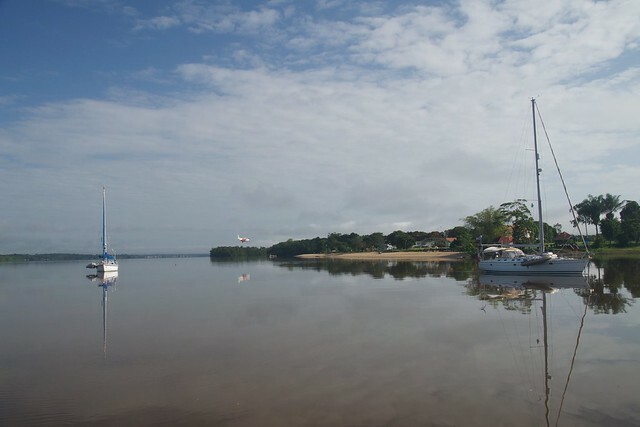 The Essequibo has no marks, and plenty of fishing nets - so you need to keep your eyes peeled. The best way is to follow the waypoints in the Doyles Guide (also available free on their website) and also apply the updates from that website. So thats what we did - followed Bernard’s ‘Western Channel’. We’d spoken to Gaia and between us decided to anchor up before we went too far (as Gaia are smaller than us, so quite a bit slower). We chose to anchor just beyond Wakenham Stelling. A point to note is that its better to anchor in the middle of the river, as the deep water channel by the mangroves is used by the ferry and coasters. The next day, we moved up to Bartica to clear in. Noonsite says you can clear in at Parika, but you can’t. Bartica is about 40nm from the entrance and still tidal, so you can use the current the whole way up. As we were doing this, some of the other boats were arriving in the river and anchoring for the night. 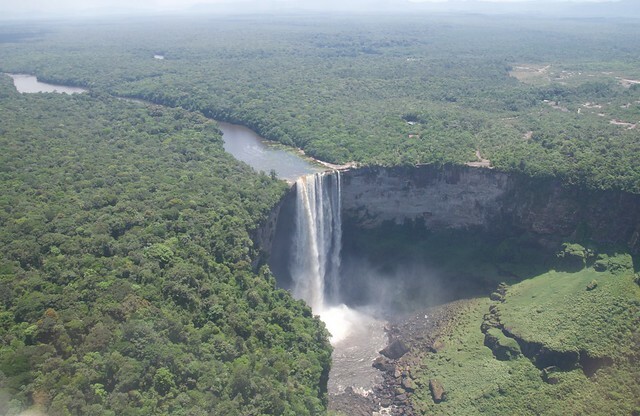 The first impressions of the Essequibo is that its huge! Its incredible to be motoring along in the rainforest, listening to parrots, howler monkeys and ciacadas. 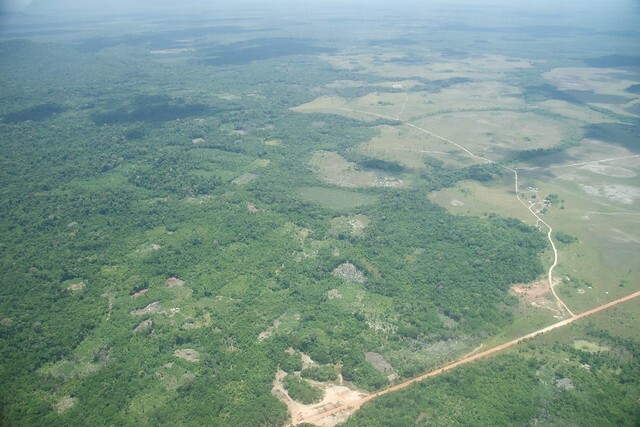 Bartica is a mining town. 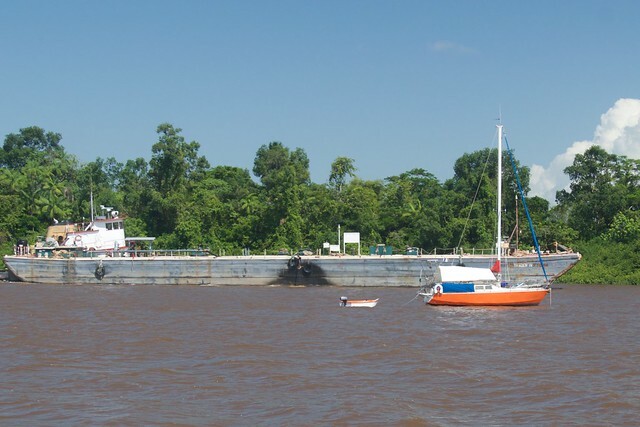 All the roads lead out to the gold mines further upstream - and the only way in is via ferry or pirogue. The waters can be quite busy - again anchor well off the shore. We used the slipway beneath the roof of the main ferry building - pulling our dinghy up the ramp. This is right behind the police station and quite safe - but a pain if you can’t drag your dinghy up the ramp. At low tide, you have to drop it off the end of the ramp, but there is plenty of water. We had no problem but the boats with bigger dinghies had issues. The trouble is that there is nowhere really safe to leave the dinghy on the water as with the current and passing traffic they can get beaten up quite a bit. Clearing in was easy. The immigration police are in the building by the ramp. They'll give you the cash to photocopy your ship's papers at the store across the road. Then we went to an ATM to get some cash. Its 300GYD to the pound so the fact they now have a 5000GYD note is very handy. The reports of wandering around with a huge wad of notes are no longer true. It cost us 5000GYD to clear in and out at Customs, which we could do at the same time as we knew our leaving date. We did a quick provisioning run at the market which was packed with fresh local fruit and veg, then returned to the boat and headed up to Baganara - a lovely resort further up river. Once the rest of the fleet had arrived, we headed downstream to Hurakabra (aka Kit and Gem's place) and anchored off there. Next day the government hosted a welcome party for the rally which went down very well. Plenty of speeches (and I was dragged up to speak on behalf of the yachts), but plenty of food and drinks too We showed some locals around various boats - we had the Minister of Tourism visit us. Plenty of journalist interest also, which generated some newspaper reports. So far, so good. 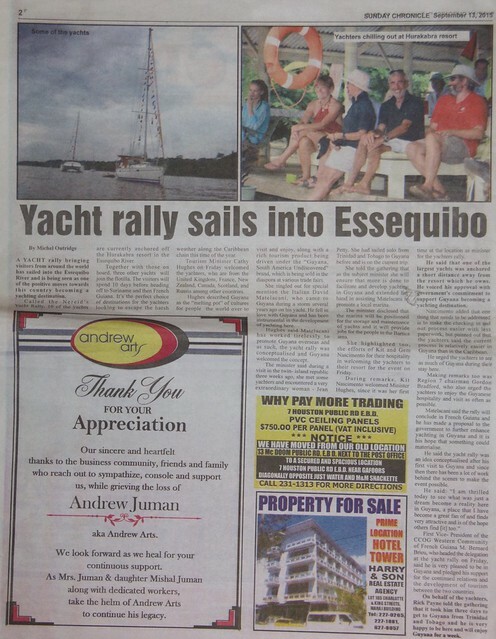 The Essequibo wasn't disappointing and it certainly was possible to sail there easily. 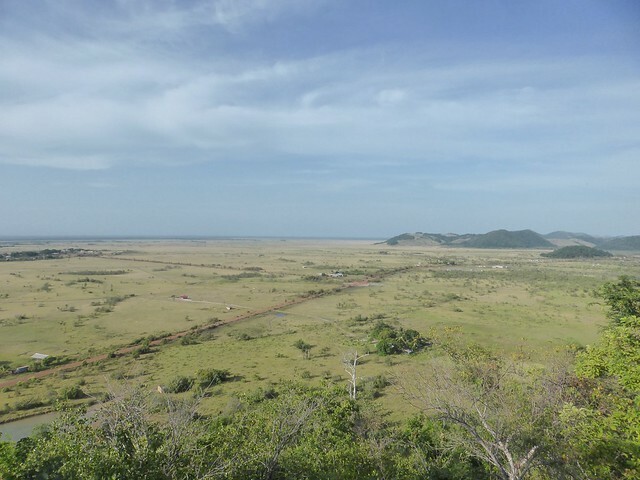 The next leg would be much harder though - sailing from there to the Maroni river where we'd gather near the entrance to be welcomed by the Amerindian tribes. It would be upwind and against the current. I must admit to being quite nervous about it! The night before we motored down the river to the eastern entrance and anchored off Roed-en-Rust. We picked up a load of bags on the anchor and one of them fell off around went around the props. Not a great start! I had to duck-dive and pull them off in the rather strong current and zero visibility. Last edited by rickp; 5th October 2015 at 07:50 PM. Nice write-up, Rick - thanks and enjoy! And please keep us posted. Great thread - looking forward to the next installment ! Well done Rick. Nice to hear about places 'less visited'. Great report, thanks. Love to get up there. Suliere intends to join this rally next time around. Here's the 'teaser' video made by the two videographers we had with the rally. Both of them stayed onboard with us at various times - as we were the best platform for doing the shots going up and rivers etc. Well, here we are in 2016 and the rally has started - though we're still in Trinidad just finishing off the final few things on the new hard top. Last few bits of varnishing are done, genoa is back from a minor repair tomorrow and possibly some new anchor chain and canvas on Wednesday morning. Then we can get underway ourselves, probably with Breakaway M - another straggler. Should have plenty of time to make it down to the Essequibo for the official welcome. Shame you couldn't make it Paul - I think we're destined not to see you, this side of the canal at least! All good news Rick .. have a great time. A new grandchild a few days old now is one of the reasons we changed the plans. In the new yaar we head out to the ABC's then San Blas and though the canal - we may catch up then or the other side of the canal. I'll drop you an e-mail with our plans..
Great report. Those are some amazing pics. Especially this one. Thanks! Its a great place - well worth the effort getting there! where is next thread ???? ?